This new Rasco Flame Resistant Workshirt is a great combination of a good-looking, western-style garment and an HRC 2-rated flame resistant shirt. Comfortably made from a heavy, 7.5-ounce, 100% treated cotton, this long sleeve flame resistant workshirt is NFPA 70 compliant and NFPA 2112 certified with an ATPV rating of 9.8 cal/cm2. 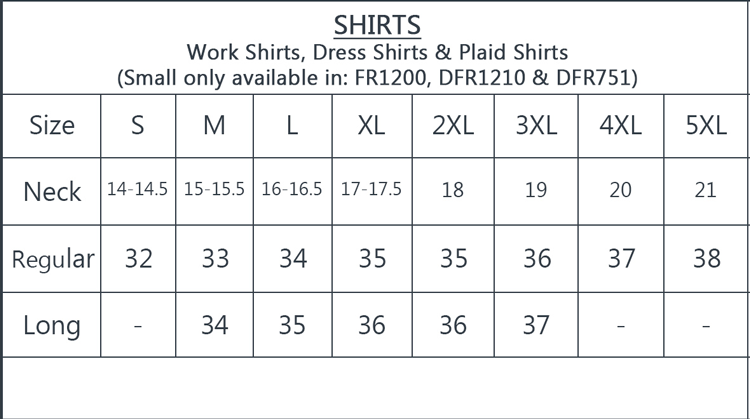 Rasco has produced a line of flame resistant work shirts that look good, are comfortable to wear, hold up durably in the field and yet are affordable to purchase. This khaki flame resistant shirt has attractive pearl snaps down the front, on the two flap pockets and cuffs. Each cuff has three pearl snaps and the sleeves each feature a vent with an additional snap closure. It's unusual to find a pearl snap FR shirt, but Rasco has gone to the limit to make this functional FR garment just as attractive as possible. It's also easy to care for and may be laundered either commercially or simply washed at home. It's available in both regular and long lengths and in sizes running from medium all the way up to 5XL. Custom applied embroidery is available on all shirts, with your choice of placement, color and font. Average Customer Review: 4.5 of 5 Total Reviews: 103 Write a review. Don't recommend if you run much 6010, maybe alright if your running TIG all day. The shirts arrived with 3 days of ordering. They are exactly like the description on the website. Good quality lightweight workshirts.